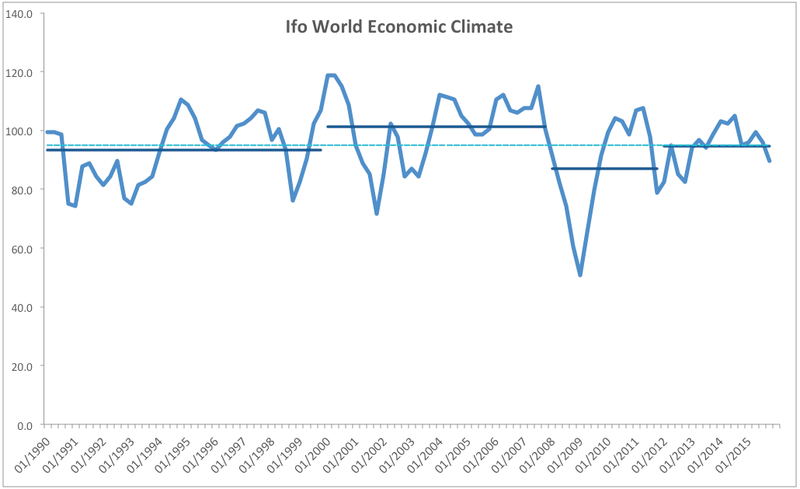 Ifo’s World Economic Climate Indicator for 4Q 2015 released recently shows further deterioration in global economic growth conditions, despite all the optimism talk in Europe and the U.S.
Ifo’s headline World Economic Climate index posted a reading of 89.6 for 4Q 2015, down on 95.9 in 3Q 2015 and below 95.0 rearing for 4Q 2014.This is the lowest reading since 4Q 2012 and is well below the 2012-present average of 94.7 and the historical average of 95.0. 4Q 2015 marks second consecutive quarter of declines in index reading. 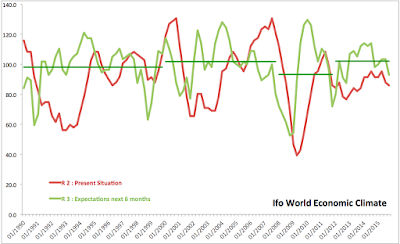 Present Situation index fell to a low of 86.0 in 4Q 2015 from already unimpressive 87.9 reading in 3Q 2015. This marks the lowest reading since 1Q 2013 and the second consecutive quarterly decline in the index. 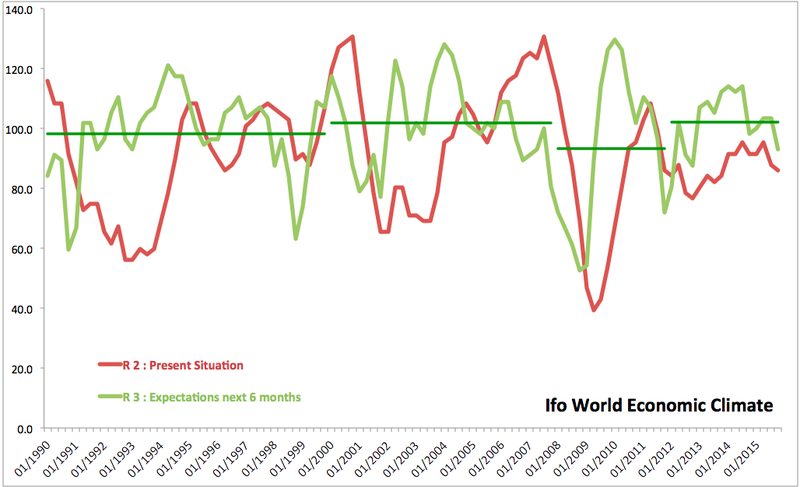 Expectations 6 months forward sub-index was down at 93.0 in 4Q 2015 from 103.5 in 3Q 2015 and is below 98.2 reading for 4Q 2014. 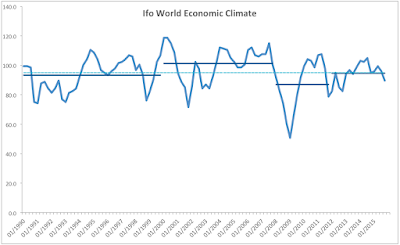 The index reading is the lowest since 4Q 2012 and is down on 102.1 average reading for the period starting with 1Q 2012. Historical average for the sub-index is at 99.2 which is well above the 4Q 2015 reading. In summary, global economic activity is once again showing signs of weakness with negative momentum not abating, but accelerating into 4Q 2015 despite massive glut of monetary liquidity and despite sharp reduction in energy costs.